Blockchain technology: Not entirely scam-proof? Ambitious blockchain projects are emerging in various fields, from medicine and science to gaming and the sale of indulgences. Another promising area for the technology is intellectual property, a topic discussed at a recent meeting of the Engineering the Future Club. 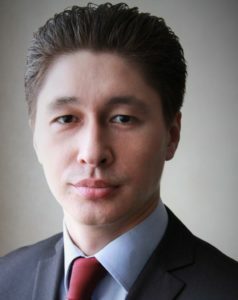 Pavel Katkov, Senior Partner at the Katkov and Partners law firm, explained how blockchain will help protect intellectual rights, what loopholes for fraudsters the system might have and whether the use of distributed registry protocol will lead to the death of the legal profession, in an interview with Invest Foresight. – Are there any blockchain projects in intellectual property today? – Yes. Such blockchain solutions are being developed both in Russia and abroad. In Russia, the leaders implementing blockchain technology for protecting intellectual property are the IPChain non-profit association and the National Intellectual Property Register. Russia is actually keeping up with the global trends. In the United States, China, the Baltic States and the Nordic countries, blockchain is being used for a variety of purposes, from soybean trade smart contracts to migrant records. Some countries are experimenting with blockchain passport registries. These are simple organizational uses. So it’s only right to use it for a developed sphere like intellectual property. It will give the right holders additional protection, as courts will be able to use information from a distributed registry to confirm copyright. – Can wrong authorship information be uploaded into the blockchain? Is it possible? – Fraud is always possible. Unfortunately, crime is deathless. But this does not mean we should be wary of the new technology. Anyone submitting their information to the register goes through identity verification. If they abuse their rights and provide incorrect data they can be found and punished. – Do you think a distributed ledger of intellectual property should be created at a regional or national level? – It should be a federal project because the issue of intellectual property is federal. Look at the Rospatent (The Russian Federal Service of Intellectual Property) – it does not have regional offices. Of course, ideally, I would make an international register, but it would require plenty of time. – Can the introduction of blockchain in intellectual property make lawyers useless? – A world that does not need lawyers would be a utopia. Blockchain and smart contracts are a step towards the future. But do not forget that these smart contracts will be programmed by lawyers. I think the introduction of blockchain will only make them more efficient. – So when will blockchain be used in intellectual property? – It is already being used. The intellectual property rights court already uses a blockchain register. However, it will take years to make it global, several years at least.